A New Jersey for New Jersey Coincides With "Big Reveal"
MOOSIC, Pa. - The Scranton/Wilkes-Barre Yankees have announced a partnership with the local Red Cross offices to collect money and non-perishable food for New Jersey victims of Hurricane Sandy. As part of the "New Jersey for New Jersey" collaboration, the two entities will accept donations at Genetti Manor on Wednesday, Nov. 14. The effort coincides with the club's "Big Reveal" of a new team name, logo, colors, etc. To incentivize participation, the very first official team jersey for the club's soon-to-be-revealed rebranding will go to one of the generous donors. "It feels good to do good," said Rob Crain, president and general manager of the SWB Yankees. "We have donated to those in our backyard of NEPA. It just seems right to also use this tremendous opportunity of a once-in-a-lifetime fan experience to carry goodwill to our neighbors heavily affected by this tragic storm." Each dollar or non-perishable canned good donated that night will result in one entry for a raffle that will reward one lucky fan with the hottest piece of sportswear in NEPA. "In the wake of Hurricane Sandy, many lives have been irrevocably changed," said Carmon Flynn, executive director of the Red Cross of Lackawanna, Bradford-Sullivan, Susquehanna and Wyoming. "Fundraising efforts such as this one help our neighbors in New Jersey weather the effects of Superstorm Sandy and empower the American Red Cross to provide a quick and compassionate response. Whether it is a meal, a warm blanket or a place to sleep, our community's support of the Red Cross makes this possible. 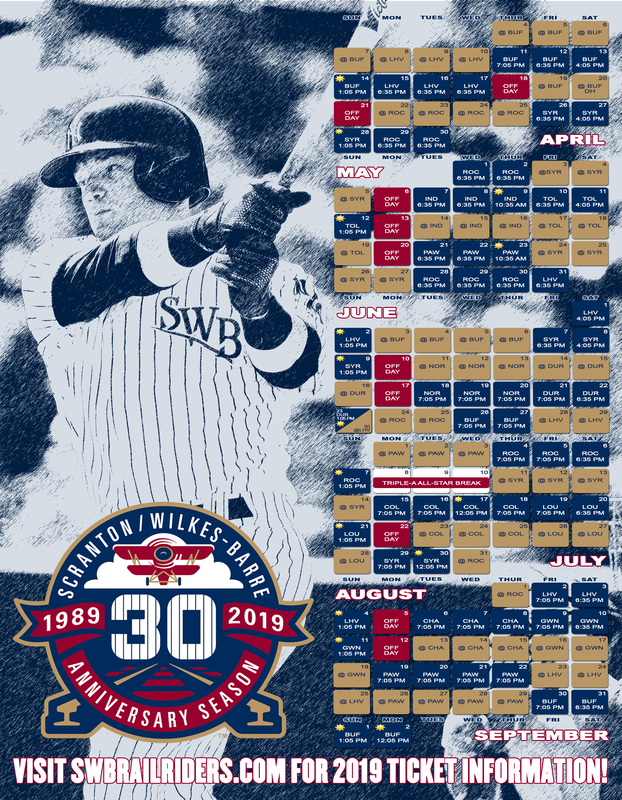 We are grateful to our partners with the Scranton/Wilkes-Barre Yankees for holding this benefit." Remember, the team's "Big Reveal" party will be held from 5:30 to 8:30 p.m. Wednesday, Nov. 14, at Genetti Manor, 1505 Main Street, Dickson City. The free event is open to the public. At the event, the long-awaited new team name will be announced, along with the unveiling of new logos and player uniforms. The family-friendly party will also feature free food and beverages (alcohol excluded), inflatable games, jugglers, caricature artists, face painters, balloon artists and much more.